Helena and Dino explored Corfu before walking Vikos Gorge. “Walking Vikos Gorge” was contributed by Helena Dell’Orletta from Barrie, Ontario, Canada. 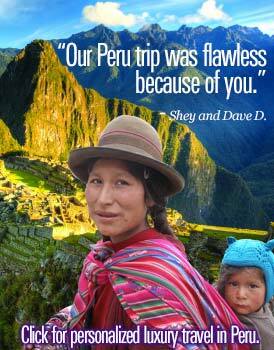 She and Dino Dell’Orletta traveled in Greece during June 2014. 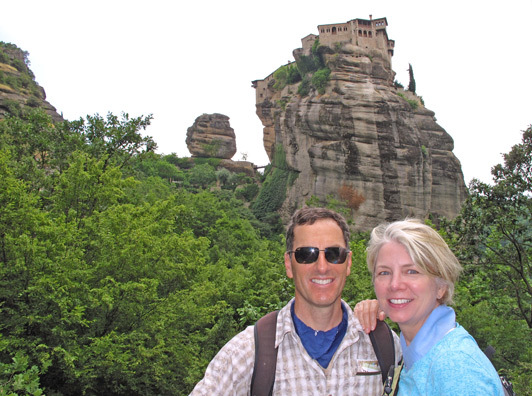 We have traveled to Europe many times, but Greece always seemed to elude us. 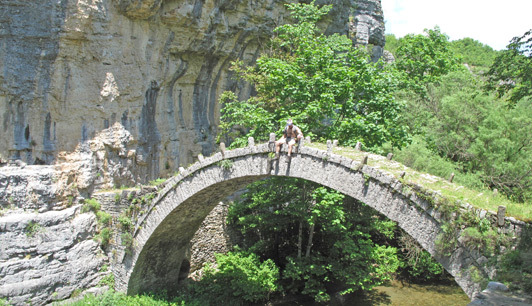 When our favorite tour company, On Foot Holidays, added Walking Vikos Gorge in Greece, we didn’t hesitate. The web site promised the “deepest gorge in Europe.” Frankly after another Canadian winter, we were ready for an adventure. The island of Corfu was our gentle launch pad and we wandered around its walled fortress happy to be back in Europe with our On Foot maps and itinerary. 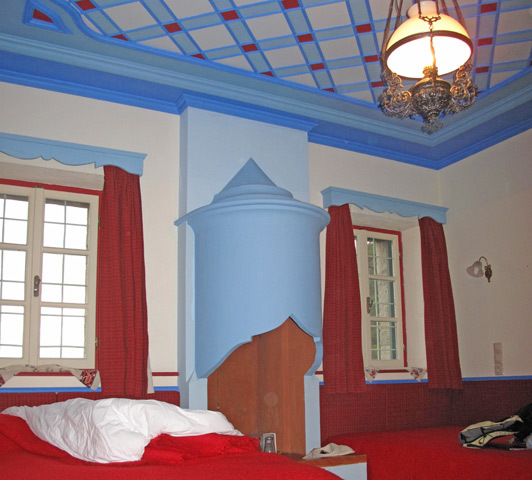 Thoukididis Guest House provides comfortable rooms and warm hospitality. 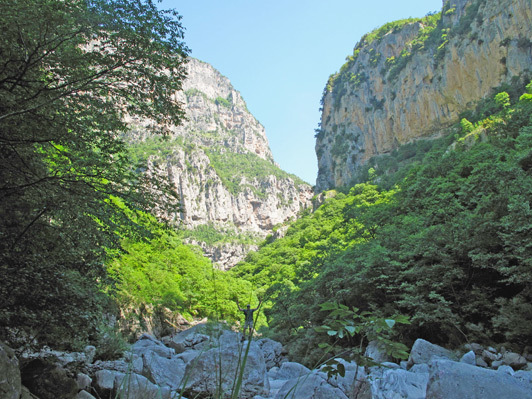 Part of the fun of walking Vikos Gorge – staying at Thoukididis Guest House in Kapesovo. Vikos Gorge is in northern Greece about eight hours by road from Athens and 24 miles from the Albanian border. 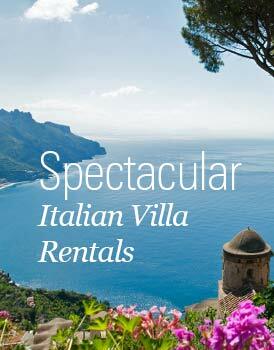 It is generally acknowledged to be the most beautiful gorge in Greece. 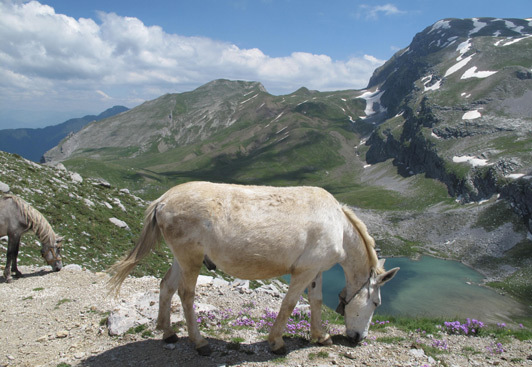 Here, in the North Pindus Mountains, interconnected footpaths lead hikers to dramatic scenic views. Kapesovo is a stone village near the Vikos Canyon. In Kapesovo, we stayed at Thoukididis Guest House, a home that dates from 1875 - renovated by wonderful Thoukididis, a local retired school teacher. 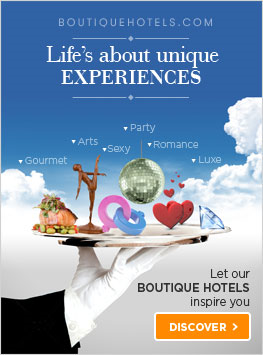 The rooms are very comfortable and offer breathtaking mountain views. 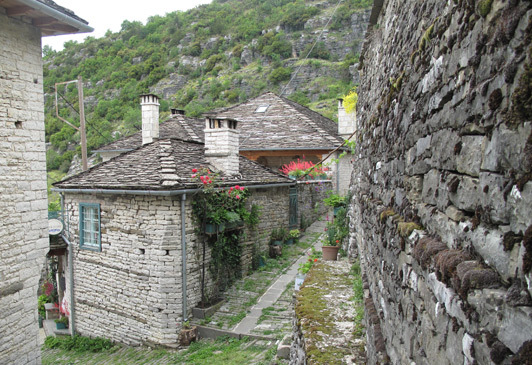 Kapesovo is a “stone village” near the Vikos Canyon in northern Greece. Steps aways, Thoukididis’ daughter Elli welcomed us to her “Sterna,” her tea and craft shop built around an old cistern. 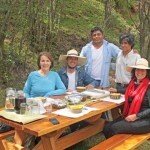 We were smitten and soaked in the valley views while warming up with mountain tea and Elli’s baked treats. Her mountain home has been lovingly restored by her family and is now a rustic, cozy inn that reflects the materials and crafts of the area. After a warm meal of local foods including a local organic Merlot, we climbed under our crisp duvet to gaze up at a folk art masterpiece. The picnic view at Beloi was a reward for the day’s climb. On our first full day of hiking, we approached the 1,000 scala (steps) anticipating our first view of the Vikos Gorge. These steps are a historical link between the stone villages and they were spilling over with gorgeous spring flowers. The picnic view at Beloi was a reward for the day’s climb. Helena and Dino walking Vikos Gorge at Beloi Outlook. We plunged into the gorge to follow stone trails and trade routes which had protected the culture of the villages from Turkish occupation. 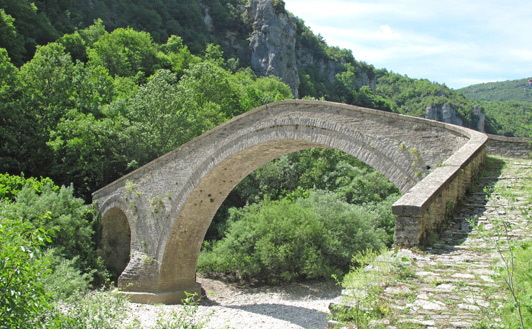 While we were walking Vikos Gorge, two beautiful ancient arched bridges helped us cross the river. We always hike with poles which are especially important for hiking downhill as they help soften the landing. There are some great folding ones on the market that slip easily into your suitcase. With so many steps to do in a day, soft landings are very helpful. Of course sunscreen and a big hat are helpful and in warmer climates, I bring one that I can soak so I can stay under an evaporating coolness for a few hours. We hiked the length of Vikos Gorge. The trail switched between scrambling over rocks and traversing scree but was mostly green forest and shade. We met only one other pair of hikers who were with a guide but our route map for the day never led us astray. 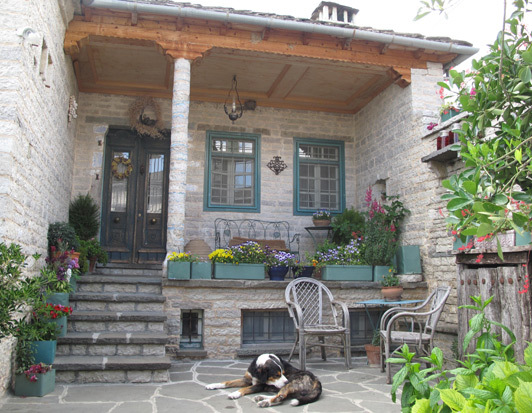 Avragonio Guesthouse was created using stones, wood, and old doors from delapidated village houses. 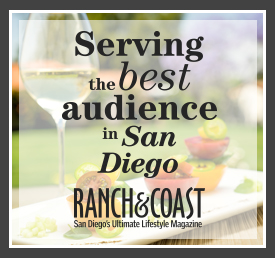 Avragonio Guesthouse was lovingly created in a award-winning ecological restoration. 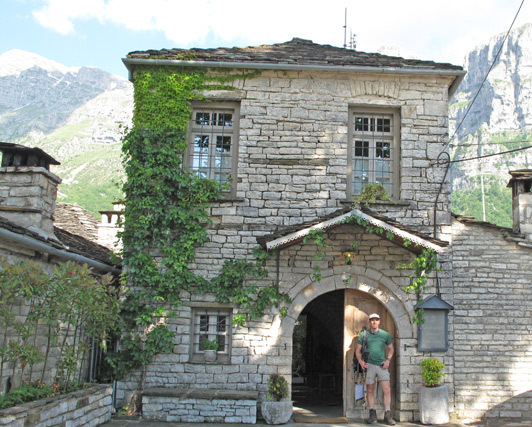 Stones, wood, and old doors from deteriorated homes were re-purposed into what is now considered one of the three best mountain resorts in Europe. The property, which offers an astonishing view of Gamila Mountain peak, has twice won the Conde Nast Traveller award for Best Guesthouse Complex in Greece. It was really an oasis of beauty. Here, Dino – walking Vikos Gorge – is dwarfed by the grand mountain scenery. Before our hike, Dino had advised us to be up early, dress for the mountains and be ready for 1,000 meters of pure alpine climbing. 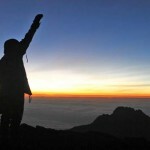 The Refuge was perched in the saddle above and could be reached by a “steady as you go” philosophy. From here we could see across a meadow of flowers to the spur and basin of Dragon Lake. There’s was no turning back, we were walking Vikos Gorge and the ‘dogs’ would bark again! 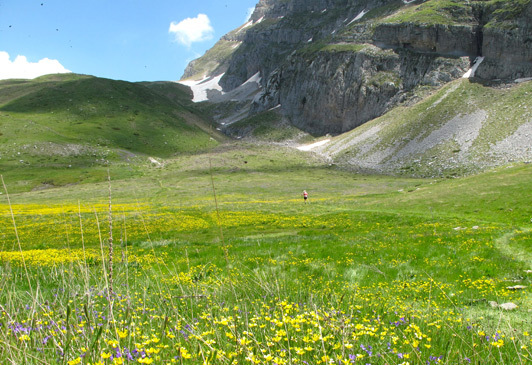 Springtime – when meadows like this are carpeted in wildflowers – is the perfect time for walking Vikos Gorge. We came upon a pilgrimage to the sanctuary of the Holy Spirit and with about 100 village residents aged five to 70, we followed a rough track 100 meters up to the Greek Orthodox celebration. It was fascinating to become a participant and as we returned to the village, a group of women offered all pilgrims coffee, bread and a sweet made of oats. With two spinach twists in our pack, we embarked on a walk that took us to a final crowning adventure: two monasteries which teeter above us on their rocky perches. 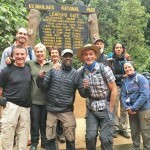 As we hiked down from our last day, we both agreed that this fifth trip with On Foot Holidays had really sealed our hearts about this method of exploration. There is something about being so close to the people, the natural space and the pace of a country that renews our lives like a wide window swinging open. 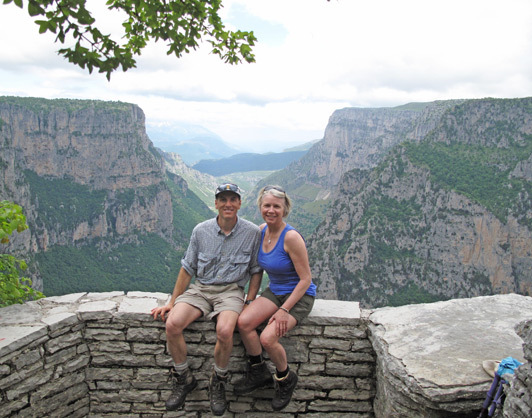 Many thanks to Helena and Dino for sharing their experience of walking Vikos Gorge in this trip report. 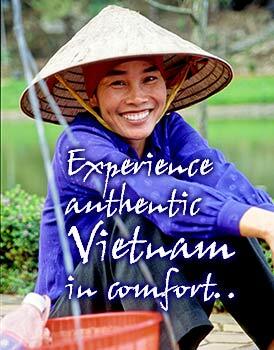 Walking is one of my favorite authentic ways to experience a destination. If you like walking, too, you may want to read this trip report about hiking in the Italian Dolomites with On Foot Holidays and my articles about walking from Santa Cruz to San Francisco in Northern California and walking in the foothills of the Himalayas in India. On Foot Holidays is a British company specializing in self-guided hiking tours in “unspoilt Europe” and has a menu of 21 at present to choose from – from Portugal to Turkey.